It’s October 23rd and Johnny Lester is taking the hill tonight. That means it’s a good night in Red Sox Nation. 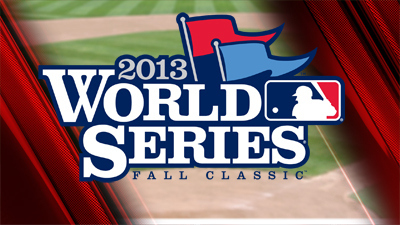 If you didn’t already know, tonight is the first game of 109th World Series as the American League Champion Boston Red Sox take on a familiar foe in the National League Champion St. Louis Cardinals. These two teams met in the Series that changed the way the vast majority of Boston fans saw not only sports but life in general back in 2004 with the Red Sox completing a clean sweep of the Red Birds, and while New England is hoping for a repeat performance it probably won’t be that easy this time around. I know I haven’t written too much about this team this year, instead choosing to just sit back and enjoy the “Road to Redemption”, but tonight I would like to preview this series position by position for you to enjoy. 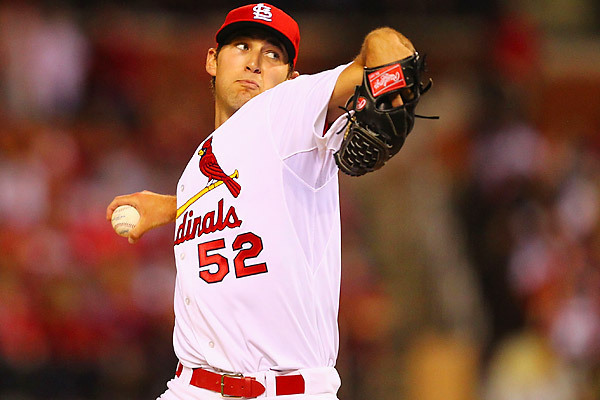 22 year old Michael Wacha is quickly making himself a household name. Yes, the Red Sox have one of their best starting rotations in years. Jon Lester, Clay Buchholz, Jake Peavy, and surprisingly John Lackey have all had great years. Add in Ryan Dempster, Felix Doubront and Franklin Morales who have all seen time in the rotation but now reside in the bullpen and you probably have the third best starting pitchers in baseball. As you probably noticed from last series, the Tigers starters are just as good if not better, and unfortunately it will be more of the same this week as St. Louis has some outstanding young arms to go with their proven talents. 31 year old Adam Wainwright takes the ball opposite Jon Lester tonight and then you will see some of the finest up-and-coming studs in the game with Lance Lynn, Joe Kelly, and everybody’s favorite Michael Wacha as this series plays out. Part of the Red Sox approach in the Tigers series was to up the pitch count of the starting pitchers in an effort to get to the weaker bullpen at Jim Leyland’s disposal. That approach will not work against the St. Louis Cardinals as Shelby Miller, Trevor Rosenthal, John Axford, Edward Mujica and company are almost as good as the Cardinals starting pitching. Things don’t get much easier in the late innings with these guys on the mound, but thankfully the same can be said of the Red Sox relievers as of late. As Dennis Eckersley pointed out late in the season, Red Sox closer Koji Uehara is the Craig Kimbrel of the American League and has been lights out this year (he’s allowed only 33 hits in 74.1 innings with a 1.09 ERA). In bridging the gap between starting pitchers and Koji the Sox have the aforementioned starters turned relievers, as well as Craig Breslow, Junichi Tazawa, and Brandon Workman who have all surpassed expectations this year. Yadier Molina is a guy known much more for his defense and his work behind the plate than he is as an offensive weapon, but to his credit he did hit 12 home runs and drive in 80 runs during the regular season. The Red Sox counter Molina with a platoon of Jarrod Saltalamacchia and David Ross, but let’s face it: they are not part of the Molina pedigree of catchers. 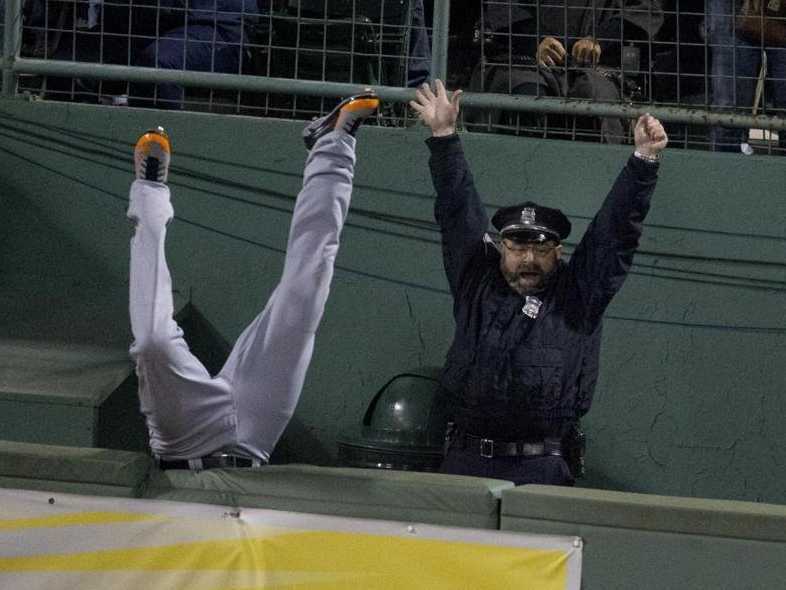 David Ortiz ALCS Game 2 Grand Slam provided this awesome moment. With no designated hitter allowed at Busch Stadium, Big Papi will be forced to play the field for at least one of the games in St. Louis. While he only played six games defensively this year he is more than adequate as a first baseman and his athleticism will surprise you on at least one play during his stint in the field. Platooning with Ortiz is Mike Napoli who is looking to improve on his .350 World Series batting average (in 7 games against these same Cardinals in 2011 as a member of the Rangers). The Cardinals counter with Matt Adams and a banged up Allen Craig who are both excellent in their own right, but again face the facts, they are not Ortiz in October. The Cardinals have a great feel good story in Matt Carpenter who worked his way to the Major Leagues as a utility player after being selected in the 13th round of the 2009 MLB Draft. Carpenter had a great year, batting .318 with 11 homers and 78 runs batted in, but the Sox are just as strong with their All-Star second baseman too. Dustin Pedroia is one of the leaders in the Boston clubhouse, and his .301 average and .370 OBP were huge in setting the table for the power hitters in the Red Sox lineup all season and will be a major factor during the World Series. To be honest, the short stop position is probably the weakest on the field for both teams in the World Series. The Cardinals employ Pete Kozma and Daniel Descalso, while Boston has used primarily Stephen Drew and Xander Bogaerts to play the 6-hole. All four of these guys are very serviceable ballplayers, but none really have the “it” or “wow” factor that makes you think they will decide the series. Now that I write that, Xander Bogaerts may have his breakout performance, and that would be quite all right with me. 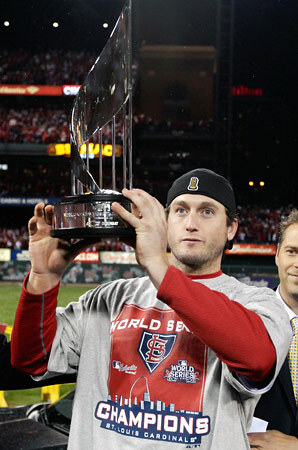 David Freese was awarded the 2011 World Series MVP. The Cardinals have used their own version of Mr. October, David Freese, as well as Matt Carpenter and the just mentioned Daniel Descalso to man the hot corner this year, and while Freese has been disappointing thus far coming off injuries the team has to feel good about the production they’ve been getting from that position. On the other hands, the Red Sox and manager John Farrell have been a bit discouraged by the lack of development from Will Middlebrooks and have recently started to give Bogaerts more time at third. Whichever team plays better at the hot corner, and gets more production offensively from the position could be a key in the series. I would break this down position by position, but both teams have used so many guys interchangeably that my predictions could be wrong before first pitch. So instead I will mention that while the Cardinals do have the arguably the most clutch performer in these playoffs in Carlos Beltran (with Ortiz and Shane Victorino both firmly in that discussion) and an absolute stud in Matt Holiday there is a major dropoff between them and the rest of the Cardinals outfield. Former Nole Shane Robinson has been seeing a lot of playing time, platooning with Jon Jay and Adron Chambers, but this Cardinals outfield just doesn’t have the same quality depth as the 2013 Red Sox. For Boston, Daniel Nava, Johnny Gomes, Jacoby Ellsbury, Shane Victorino, newly acquired Quinton Berry, and even “The Microwave” Mike Carp have been vital the team’s success at one point or another this season. All six guys fully deserve to be on this World Series roster, even if the casual baseball fan has only heard of about half of them. The return of John Farrell may be one of the best moves in Red Sox club history. 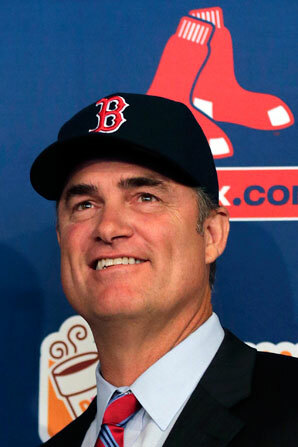 No disrespect to Cardinals manager Mike Matheny, but the job that John Farrell has done this season with this turnaround is the stuff of legends. From 69 wins and the manager who will not be named, to 97 regular season wins and a ball club four wins away from their third World Series in 9 years is remarkable. Perhaps just as importantly, John Farrell changed the culture in the Red Sox clubhouse to where even the snarkiest fan only can refer to “chicken and beer” in a joking manner. The Red Sox are a likeable bunch again, whether they win or lose, and recovering from the damage of the recent past is something that I honestly thought would take much, much longer. All a credit to Manager Farrell. Series Prediction: Boston in 6. This entry was posted in MLB and tagged Baseball, Boston, Cardinals, Red Sox, St. Louis, World Series. Bookmark the permalink.